​"La Parisienne" is no exception to the rule. It is the perfect recipe of red fruits (strawberry and griotte cherrie) with a gourmand touch of the very famous poppy flower candy from Nemours. Full of flavors, "La Parisienne" was created as a tribute to the French elegance that incarnates Paris! 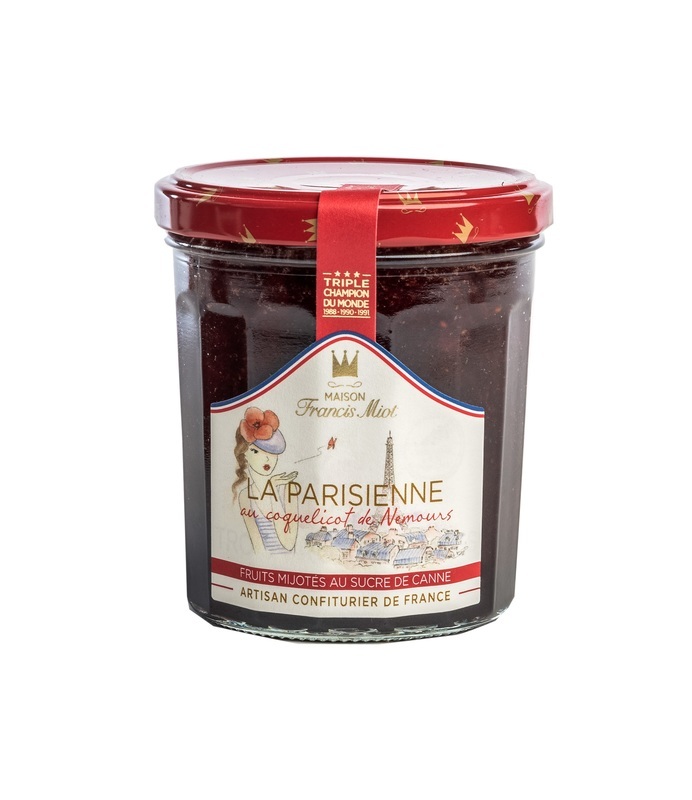 Red fruits 60 % (strawberry 30 %, griotte cherrie 30 %), Cane sugar 37 %, Poppy flower of Nemours aroma 0,06 %, natural Poppy flower aroma, concentrated lemon juice, gelling agent: fruits pectin (from the fruits). Allergen : Ø.